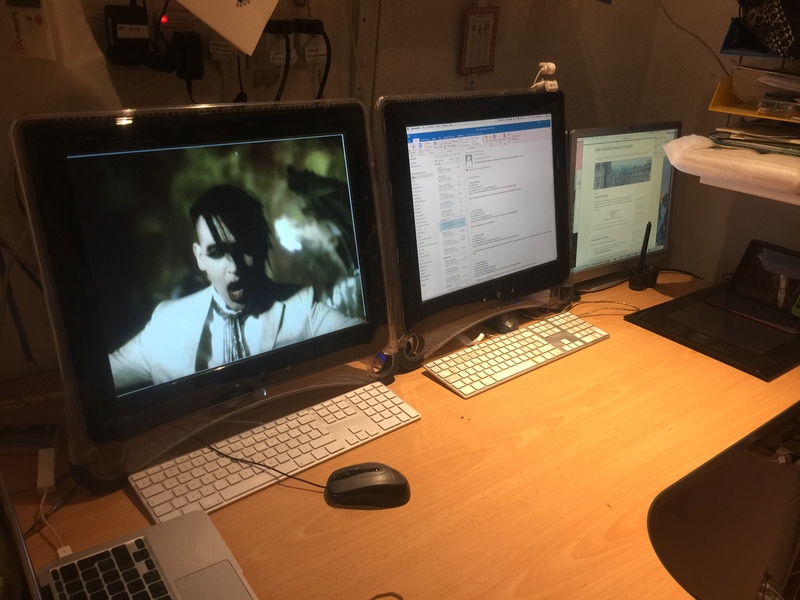 Until this morning, my main Mac sported a 1600 * 1200 Formac DVI monitor and a 1280 * 1024 HP VGA monitor. (This monitor can also do DVI.) The Formac’s been great – it’s survived several house moves over almost 10 years, and seems as bright as ever. The HP monitor is now attached to my Hackintosh. Weirdly, it’s reporting as 1600 * 1200, which shouldn’t be possible. This entry was posted in Amuse-Bruce, IT-ish stuff by Bruce Ryan. Bookmark the permalink.